From the author of the New York Times Notable Book Tipping the Velvet and the award-winning Affinity: a spellbinding, twisting tale of a great swindle, of fortunes and hearts won and lost, set in Victorian London among a family of thieves. Sue Trinder is an orphan, left as an infant in the care of Mrs. Sucksby, a "baby farmer," who raised her with unusual tenderness, as if Sue were her own. Mrs. Sucksby's household, with its fussy babies calmed with doses of gin, also hosts a transient family of petty thieves-fingersmiths-for whom this house in the heart of a mean London slum is home. One day, the most beloved thief of all arrives-Gentleman, a somewhat elegant con man, who carries with him an enticing proposition for Sue: If she wins a position as the maid to Maud Lilly, a naïve gentlewoman, and aids Gentleman in her seduction, then they will all share in Maud's vast inheritance. Once the inheritance is secured, Maud will be left to live out her days in a mental hospital. With dreams of paying back the kindness of her adopted family, Sue agrees to the plan. Once in, however, Sue begins to pity her helpless mark and care for Maud Lilly in unexpected ways. . . . But no one and nothing is as it seems in this > Dickensian novel of thrills and surprises. 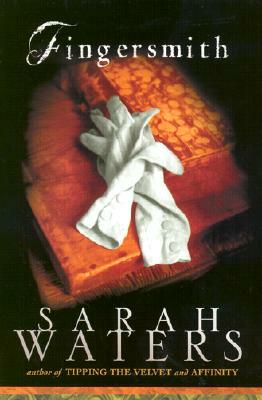 The New York Times Book Review has called Sarah Waters a writer of "consummate skill" and The Seattle Times has praised her work as "gripping, astute fiction that feeds the mind and the senses." Fingersmith marks a major leap forward in this young and brilliant career.